Humans sharing a bed with their dogs is not a new thing. In the ancient days, some cultures propounded that co-sharing was beneficial in that it helped to diagnose evil spirits. Given how attached we become to our pets, it feels OK to share a bed with them. You are not alone in this. According to a survey by the American Pet Products Association, about half of all pet owners allow their dogs to share their bed. 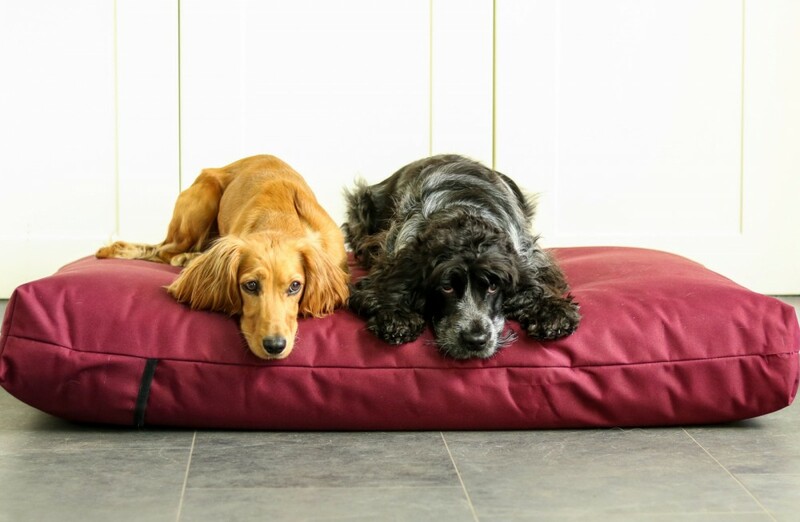 Their soft fur provides an ideal spot to place your head and relax. When it is all cleaned up and smelling good, a dog’s body is a uniquely cozy place. Their rhythmic sound and gentle breathing offer a comforting feeling. Research supports this assertion and states that a dog’s breathing lowers human breathing, thus providing comfort. Dogs are an ideal companion for humans. For the single people out there, a dog is a warm companion. Moreover, holding a dog brings some sense of security. Touching pets increases the production of oxytocin in our bodies. It is this chemical that makes us feel loved and helps us achieve some level of calmness. A dog’s body is 3-6 degrees higher in temperature than the human body. It is for this reason that your dog will always feel warmer despite the cold. 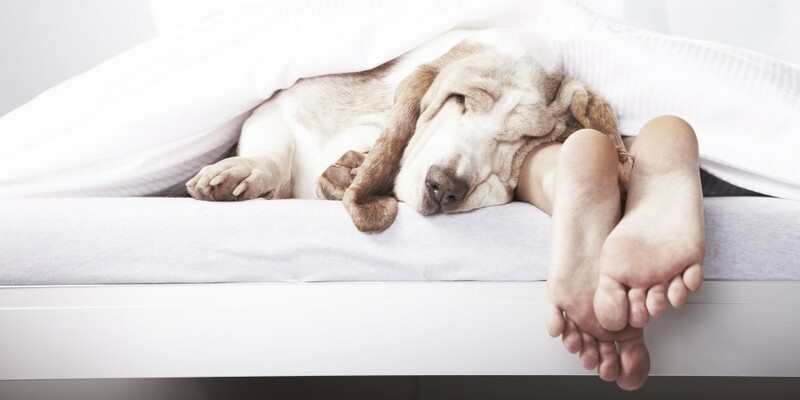 While all these factors are overwhelming, there are health issues associated with co-sleeping with dogs. Dogs have rather different sleeping patterns than humans. Apart from their smell, which might make it hard for you to catch sleep, dogs will often toss from side to side at night. 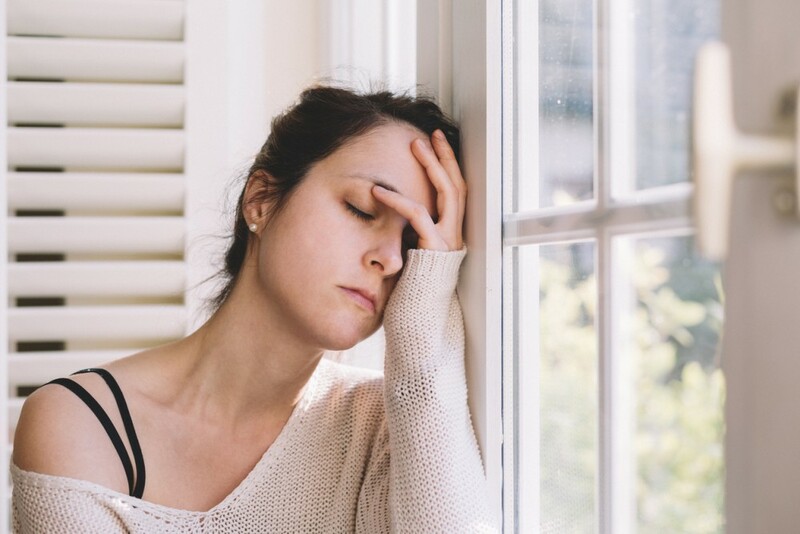 Without proper and sufficient sleep, you are likely to suffer from decreased alertness, anxiety and ultimately develop certain mental health issues. The Allergy and Asthma Foundation recommends people who suffer from asthma and allergies to avoid sharing a bed with their dog. According to Dr. Jack Gilbert, the director of the Microbiome Center at the University of Chicago, the human body’s immune system is made to overreact to allergens. The bed being an allergen epicenter makes it a prime area for aggravating allergies. People with a weak immune system should avoid co-sleeping with dogs. Although it is rare, dogs can be carriers of diseases. You could contact serious infections like MRSA, which is an infection passed from animals to humans. Dogs are notorious carriers of ticks and fleas, and sleeping next to them puts you at risk. These flies jump off their fur and tend to stick on fabric. Instead of your bed, let the dog sleep in its own bed — probably next to yours. Alternatively, bring a crate to your room and let it sleep in it. Dogs spend about 12 hours per day taking naps. To ensure that they meet these sleeping hours, make their sleeping place cozy by keeping it clean and adding blankets.